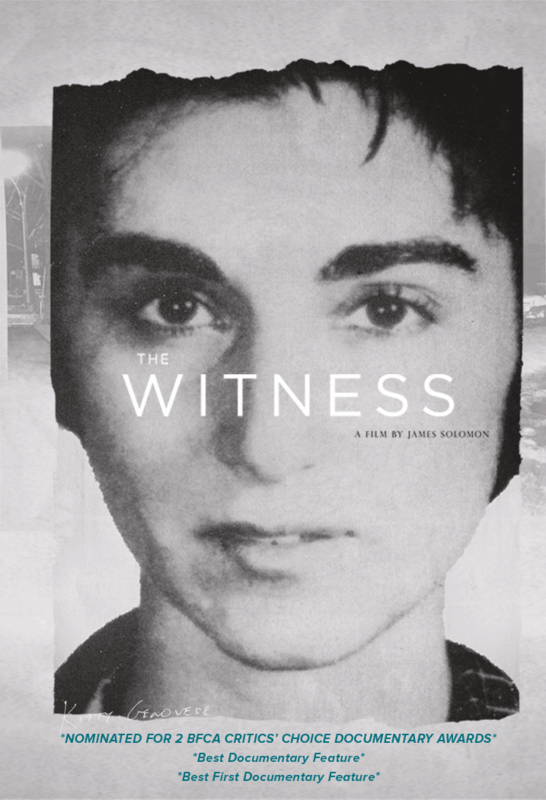 I learned of the 2015 film enlightening not just Catherine “Kitty” Genovese’s passing, but her entire life, through Isa Freeling’s June 2 Huffington Post review of a spring screening of “The Witness” at New York City’s IFC Film Center. I saw the film there twice. I have experienced it several more times since it was released on Netflix this fall. Prior to this film, I had a flimsy remembrance of confronting a sliver of Ms. Genovese’s story over my 39 years of life. My stock impression was the one the film’s set out to correct: back in the day over three dozen people heard a woman murdered in New York City, and not one of those people intervened. No matter what I have learned from executive producer Bill Genovese’s heart-wrenching push for truth and closure, I still can not extinguish the feeling of seeing myself in Kitty Genovese, who was a barmaid living in Kew Gardens, Queens: young, happy, independent, strong, moving toward the future, and fated to be a woman living alone in American big cities. Even the most confident women, who manage to relax into daily routines, feel some unease in that state. Bill Genovese is Kitty’s brother, a man approaching the senior years of his life still obsessed with his sister’s life’s end. This film, knit together in a sharp screenplay by director James Solomon, is as much a docudrama of how family copes with grief and survivor’s guilt as it is an exploration of a horrible and historically unprecedented crime. It is the best investigation into crime and its effects I’ve ever seen. In the wee hours of the morning on Friday, March 13, 1964, Kitty Genovese was attacked just steps away from her apartment building. Her killer stabbed her in the back. Then, she found momentary escape in the stairwell of a nearby building. About a half hour later, the killer returned to the scene of his first crime. He raped her, robbed her and stabbed her again. She screamed “Help! Save me!” She ran. She hid. She did everything she possibly could given the circumstances. However, the perception of apathy for her person was apparently so clear her attacker returned to that nearby building to complete his intentional murder of a woman, because “women are easy” he once told a TV interviewer. In twists of fate involving strategic exaggerations and old school politics at The New York Times, her murder eventually made the news beyond its initial mere mention. When it re-emerged two weeks later, a front page report uncovered the closest truth Times metropolitan editor A.M. Rosenthal could spin at that time: Kitty had screamed, so loudly children awoke and neighbors shouted to her killer, but indifferent New Yorkers ignored her. This inflated narrative became the headline: “37 Who Saw Murder Didn’t Call the Police” (Martin Gansberg, March 27, 1964, The New York Times). Back then, 9-1-1 was in its fetal stages; New York’s collective embarrassment and the stupefying reality nothing like this should happen actually gave rise to the system we know today. People had phone books to look up their local police station, or people kept the nearest precinct number posted in the house. Or, people simply dialed the operator and requested to be connected to the police, fire department or an ambulance. These archaic excuses notwithstanding, The New York Times story went the analog equivalent of “viral” and Kitty Genovese became locked in history. I can not recall the first time I heard this report, true-crime story, urban legend, cautionary tale or rumor- as the film would have its viewers discover. I do know my initial orientation to its facts is where Bill Genovese positions himself and anyone he can find who was in close proximity that night: as a witness, not a victim. Any confrontation with this unfortunate case (which led to the well-studied “bystander effect“) moved me to imagine the number of times I looked the other way, pretended not to notice, boarded the train or bus despite the obvious, closed the window, turned off the lights, turned up the music or otherwise refused to intervene when a woman was getting hurt. I wrote a fiction story from the perspective of a bystander in the August 19, 1995, murder of Deletha Word, a woman whose life ended from a traffic jam on a Detroit Bridge. 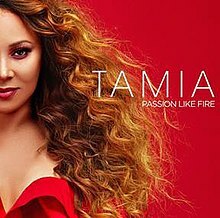 When she had a slight fender bender, the other male driver ran from his vehicle and beat her so savagely she jumped into the Detroit River to escape. 40 folks in a surrounding crowd had their reasons, too, for watching or turning the other way. I may not have acted, either. I am unsure what I could have done. As the bystander effect purports, I am one of many who believe witnesses stronger or collected in more number can do more than my lone self can. Fights to the death have sounded next door or just above my head. I moved to another room or left to spend the night elsewhere. Once, as I stood near Chicago’s Green Line El, a muscular man twisted a tiny woman around ferociously. They remained locked in a bitter embrace until she fell. He straddled her as she scuttled back and forth underneath him. Like others most likely traveling to the University of Chicago’s Hyde Park enclave in the largely Black South Side of Chicago, I just boarded a bus when it came. On that same South Side, I saw a teen couple arguing up and down a street. They only stopped long enough for the young girl to set down her baby carrier. I glanced down at the child- no more than a few weeks or a month old- as it lie atop concrete under a hot summer sun. Part of me wanted to take it home, like a rescue kitten. But, I kept walking. By the time the baby’s father (presumably) slapped its mother, I was boarding the bus. As far as I can rationalize retrospectively, I was a woman all alone in the cities myself. I wanted no trouble. I had no one closeby. I feared retaliation. And of course, I did not want a man to turn around and direct his rage on me just for being near it. I also fear the police. I have called them as a victim and been treated unsympathetically, harshly and unkindly. Once, two cops worked to slickly place handcuffs on me without my knowledge, because I was hysterical and scared of a man next door who had been highly inappropriate with me. Implicit bias exists in our nation’s law enforcement, where black people are targeted as the most likely to hurt others and so police officers do not habituate to treating us as if we can get hurt, too. I prefer to stay away from them. Kitty Genovese’s death sparked my own unsettling self-reflection that I, too, may not have called the police had I seen or heard a woman screaming with a man on the street nearby. Imaginings of police officers swarming and searching my home after my Good Samaritan gesture were more powerful than the guilt of ignoring the matter. I wish none of this was true of myself or others. I am only being honest. In fact, communities of old punished its familiars for involving the police in the community’s affairs. Those communities took pride in solving their own problems. Now, people move so far from their native place and cities are a mix of transplants. We don’t have those old-school and familiar law enforcement tactics just a phone call away. The Witness is both a chilling and heartwarming work of art, seamlessly woven to meet all its personal and factual aims. It relies on outstanding animation to recreate Kitty in her lifetime, news clippings and court testimony transcripts, personal interviews with the surviving bystanders and television footage of such figures as 60 Minute‘s Mike Wallace. All this separates fact from fiction. Clarity arrives to explain her most famous image: Bill is amused to learn it is his sister’s mugshot, as Kitty had a side hustle as a numbers runner for her bar customers. Bill’s siblings, who were all older than he was at time and therefore experienced all of it more viscerally, want him to abandon his grim odyssey. They prefer to leave it behind, let sleeping dogs lie and take solace in the murderer’s lifetime imprisonment. Bill lost his legs in Vietnam; he enlisted in the military to help people like no had helped his sister. He is a fighter. He, and not his sister Kitty, emerges as the centerpiece of the film. He is a patrician man viewers forget is disabled, as he remains entirely independent and fascinatingly more resilient than his other relatives. Viewers know how Kitty’s story ends. We want Bill’s to end happily for it. We want him to find peace. We want him to come to terms. I, however, also want him to enlighten me on the media as entertainment turnkey and hold our public consumption which turns it into profit accountable. Yes, it is true one incomprehensibly aloof man said “I didn’t want to get involved” in response to seeing Kitty being stabbed. From over a decade of Bill’s efforts to track down inconsistencies which produced Kitty’s myths and sensationalized story, I learned some people did call police that cold morning. Others were immigrants who had narrowly escaped Nazism’s clutches, and they preferred anonymity for the rest of their lives. The crime took place in winter, when windows were closed in the densely populated Queens residential area rife with high apartment buildings. Some who heard the killing’s chaos misinterpreted it as a lover’s quarrel, though others in different locations said they had never heard louder screams. William hired a young actress to recreate his sister’s excruciating cries for help, down to the second according to verified timelines of that early morning. Given this spine-tingling recreation, I am unsure how her cries were misinterpreted as anything but death’s call. Ultimately, none of this commendable new truth matters. No man or woman saved her life. Bill gains the most comfort through a man who was just a toddler when Kitty lived next door to his family. Kitty was good friends with his mother, and the man said the women drank coffee and ate toast together regularly in the mornings. The man insists his father was one of the ones who had called police, only to be told the matter had already been reported. The benevolent witness walks William to the stairwell of the nearby building where his sister died. He is honest the “butcher-shop” smell of her blood will stick with him for life, as his mother had run to be by Kitty’s side when word of the attack spread. Bill never knew this. For over 40 years, the Genovese family held the impression Kitty died alone. She was, however, in the arms of a friend. It is the least any of us could hope for. “The Witness” lays bare lives changed, forever. Some who were closeby that night may have eventually reconciled many emotions: guilt, shame, regret, sadness and anger at themselves. Some, like Kitty’s lover who paraded as her roommate, had a latent response to the news. She refused to be shown on camera, but she allowed a voice-recorded interview and told Bill she said “I’m gonna wait for her” after she identified Kitty’s body. The nieces and nephews Kitty never knew do not understand a hazy posthumous celebrity they’ve only related to through magazines, the news and Bill’s tireless fanaticism. Her killer’s son, a pastor, is a sad survivor who accommodates Bill’s request to meet to talk about the crime. This man of God is softspoken and gentle-mannered. But his rigid self-defensiveness betrays his faith. He employs the Christian tenet to forgiveness as a digression to Bill’s probing for his responses to the crime. He plays a race card: his father’s warped psyche was a result of all the prejudice Black men experienced in the 1960’s. As Bill and Kitty are White Italian Americans, it would seem he blames them for the crime. Their encounter ends in ambiguous prayer. As witnesses to crimes or the evidence that may help solve them, we can be voyeurs to human suffering or we can act. I am unsure if I have only in theory changed my stance not to get involved. No one can rehearse for the startling, impromptu glimpses or sounds of evil around us. It is scary when people struggle. It is disturbing when people scream. It is confusing when people clash. But I know I can not un-know how that stance turned out for one young woman over 50 years ago. Her life was not finished in the woods or on a remote road, but just steps from her apartment, surrounded by thousands of people. I will try to keep that in mind the next time I am fated, suddenly and involuntarily, to be a witness. I will try. Cast: William Genovese et al. I appreciate this honest, thoughtful reflection. I grew up in NYC. Yes, the immunity to poverty, homelessness, strangeness you develop is part and parcel of survival. But it really does cross the line when we do nothing in the face of crime or brutality.